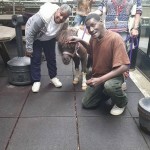 On Monday, June 4th 2017, the Hope Center on University Avenue in the Bronx was visited by mini-horses and the residents there loved them. 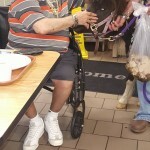 The Hope Center is a nursing home and rehabilitation center and the Center has a program called “horse therapy” and the program is fully intended to bring smiles to the faces of all residents. It does just that. Residents, who are either seniors or handicap, love this kind of pet therapy.